Shanel Smith has been intrigued by live/work spaces since she first saw them as a child in New York City. 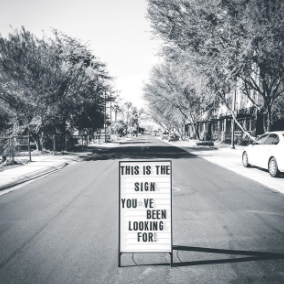 When she saw the live/work spaces at the Residences on Farmer (on Farmer Avenue, just north of University Drive), she knew she had found her Tempe home – a home to live in and one in which to start her new work chapter. Smith, a grad of ASU’s W.P. Carey School of Business, has been working in the fashion industry with her company Obsessed, a traveling boutique that makes the rounds at local markets as a pop-up retailer in a black and white 1961 vintage Volkswagon Bus. But she found she had a desire for a brick and mortar space for herself as well as others in the maker community. She found that the makers, designers and artists who work at home and sell their work primarily at local markets and online have a desire for a store as well, but the costs to dive in alone can be an obstacle. So she decided to open a shared retail space. Smith recently opened A Market Off Mill in the ground floor of the Residences on Farmer building. 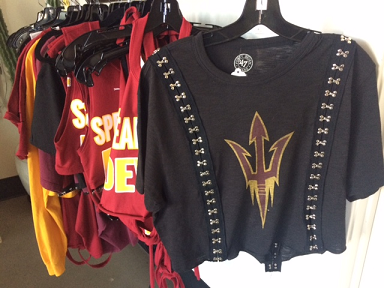 In addition to her own collection of customized ASU t-shirts and an LA inspired fashion line, she has curated the space with 11 other vendors that she personally invited into the store. Each vendor pays a flat fee for rent and Smith said each jumped at the opportunity to make their goods available in a brick and mortar location. Smith says “they can now tell their customers they have a store; I tell them it’s not my shop, it’s yours”. 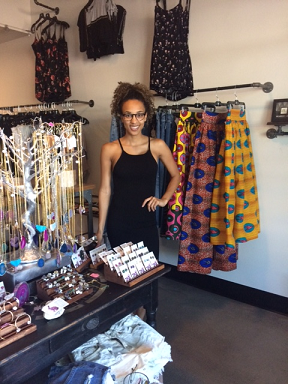 A Market Off Mill specializes in beauty, fashion, jewelry, home goods, alcoholic beverages, funky gift ware and more. 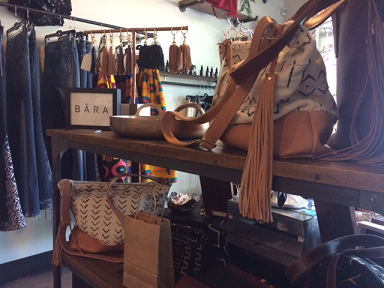 Curated primarily for a female clientele, you’ll find up-and-comers like Iconic Cocktail Company, Adam Rabbit Jewelry, BARA, Burn Candle Company, Knee Deep Denim, Emerge, Keep it Wild Company, Southwest Legging Company and more. College kids, young professionals and moms in their 40s all have a place at A Market Off Mill. There is something for everyone at various price points. Smith has plans to offer workshops and classes too. She’s asked her vendors to share their art with the community and has plans for a macramé workshop, a water color class and a cocktail class -- maybe even a wine tasting or two. 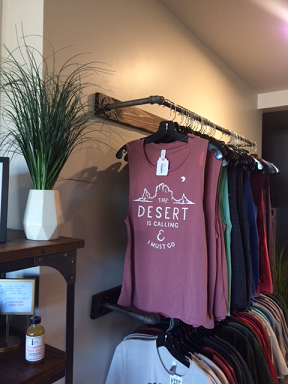 She hopes to open a second location in the valley but plans to always keep a location in Tempe (thankfully).